The bidding is to take place on 14 December. The State Property Fund announced on Monday, 31 October a tender for the sale of the state-owned stake (99.567%) in Odesa Portside Plant. The auction is scheduled for December 14. The bids are accepted until 18:00 on 6 December, the SPF said. To participate in the competition, a potential buyer shall pay 258 million hryvnia in tender guarantee and a registration fee of 340 hryvnia. According to the latest changes in the regulatory acts for privatization, the potential buyer may provide a bank guarantee of 258 million hryvnia pay as a tender guarantee in lieu of cash payment. Potential buyers can ask to sign confidentiality agreements prior to 29 November with the SPF. The starting price of 99.6% stake in OPP is 5.16bn hryvnia (about 201m dollars), bidding step is set at 150m hryvnia. The Cabinet of Ministers approved OPP privatization plan on 19 October. 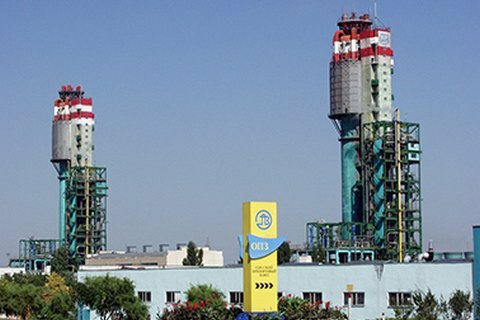 The previous attempt to sell the plant in July for 13.175bn hryvnia, an equivalent of about $ 500m, attracted no bidders. Potential buyers were scared off by OPP debts before the Group DF and other creditors, lawsuits with Nortima, restrictions on the repatriation of dividends, and absence of tax benefits and preferences for the investor. In August, the Cabinet decided to cut the starting price of OPP. SPF proposed to halve the starting price down to 220-260m dollars. OPP is the largest in the CIS manufacturer of ammonia and a large-scale producer of urea. It also has the only one in the country terminal for the transshipment of ammonia to marine vessels. The Odessa plant is the final link of the Toliatti-Horlivka-Odesa ammonia pipeline.